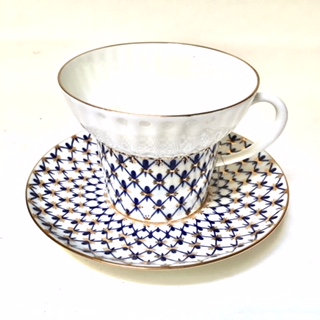 Cobalt Net bone china cup and saucer. Cup diameter is 3 1/2" and 2 1/4" in height. Saucer diameter 4 7/8"